Blewbury gardens open once a year under the National Garden Scheme and what a beautiful group of gardens they are! 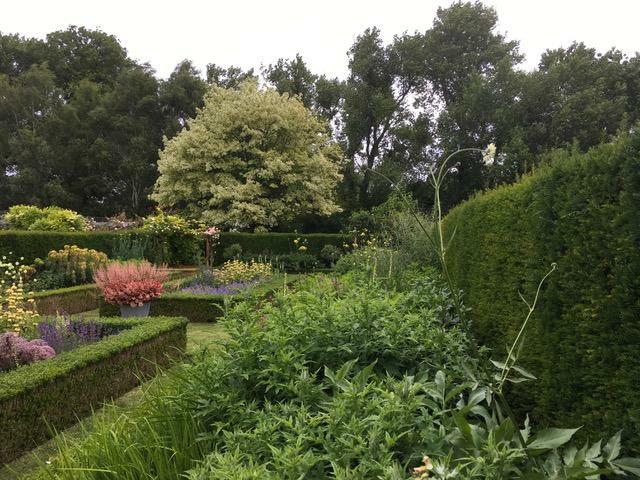 The Manor House and Hall Barn are the largest in the group, and are full of interesting garden rooms, but the smaller gardens all managed to lead the visitor on a journey of surprises. 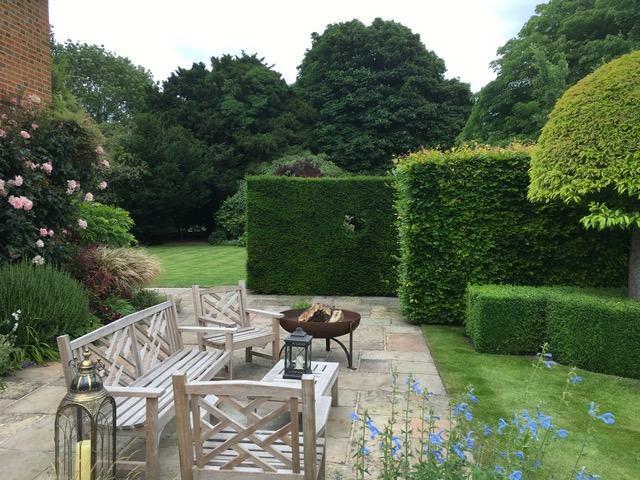 The first photo is of a metal sculpture of a pony which looked so in keeping with its setting, it really was a perfect view to take in from the patio. 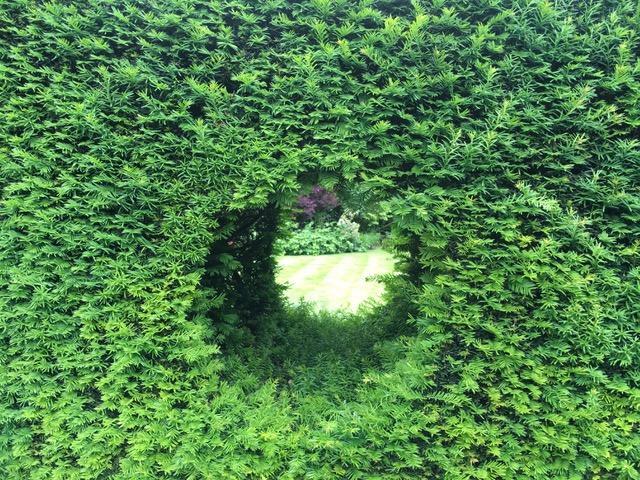 The second and third photos are of the patio area from which you look out onto the pony, and I was taken with the detail in the planning, even giving your guests the surprise of a peep hole in the hedge! There were of course formal areas, with beautiful planting reminiscent of the old Italian gardens, but then around the corner was this relaxed, informal garden with abundant roses, and their delicious scents, and this sweet little pony grazing near the water. The formal gardens were stunning! 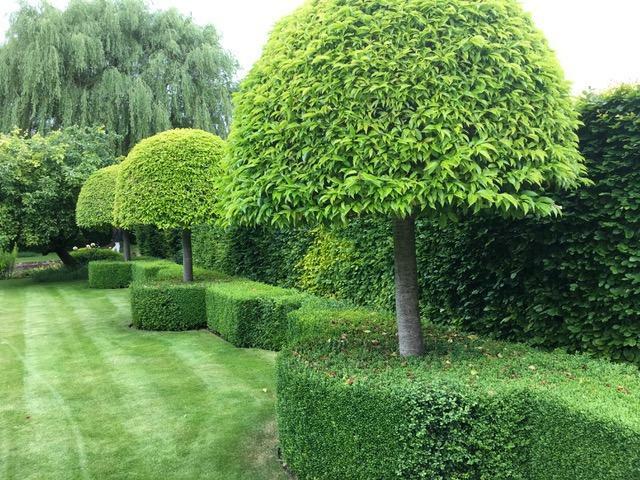 Beautifully maintained and in keeping with the front of the house, they gave an air of grandeur to the gardens. 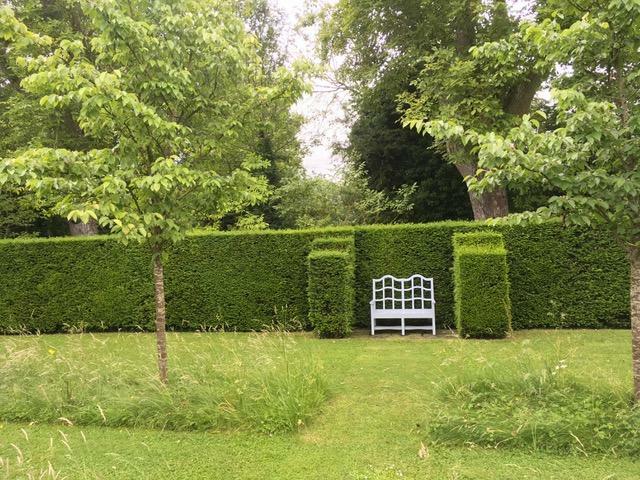 In Photo 5, which is from a different ‘room’ in the garden, you will see another great example of the clipped formality of the Renaissance period. 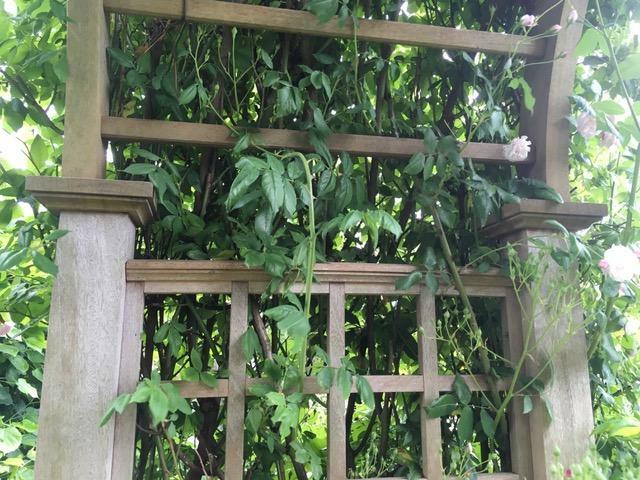 And look at Photo 6 and the thoughtful detail of creating a hidden ‘niche’ for your bench to sit in. These Manor gardens really did impress me with the range of ideas you could take away from one afternoon’s visit. 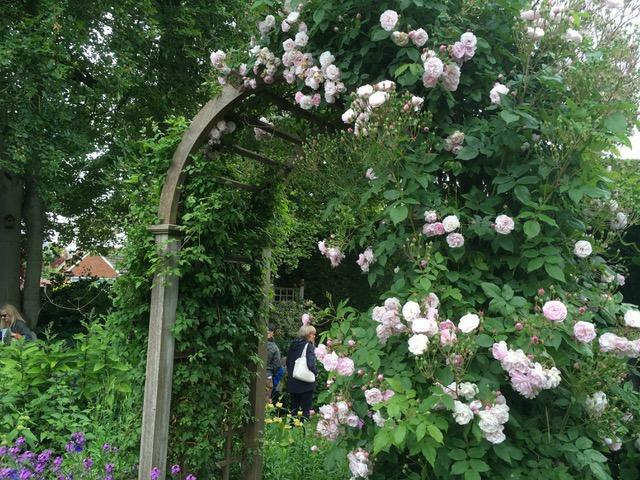 One of the smaller gardens in the group had a stunning iroko archway over which they climbed some roses, and I took some photos of it, both from afar, and then closer to show you the beauty of the workmanship in the arch. These you will see in Photo 7 and Photo 8. The quality of the archway would mean that even in the winter, this would look good. Photo 9 is of a typical ‘English Country Garden’ border, bursting with colour and exuberance. 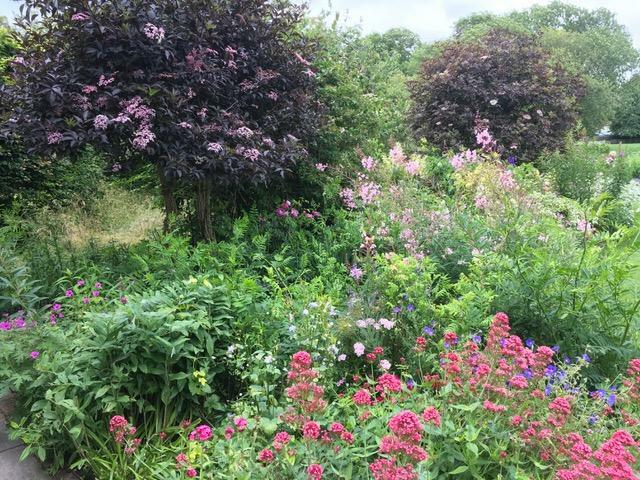 A stunning mixture of shrubs, perennials and roses, in the time honoured palette of different shades of pinks, blues and white. 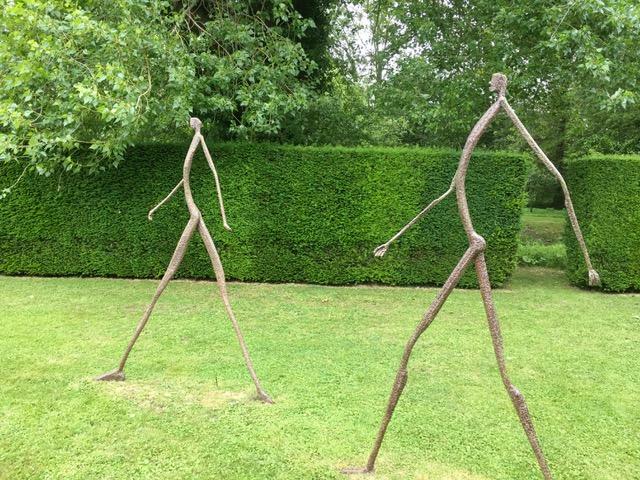 And then it was time to stride off to our car, and who should we see, but this pair of purposeful statues walking off into the distance themselves. The NGS raised over 3 million pounds for charity last year, and the gardens they open all over the country are a sight to behold!